Brick Raw Material: Concrete crush 33%,fly ash 60%,cement 7% & Water. 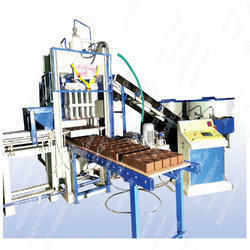 Fully Automatic Fly Ash Bricks Machine. Brick Production Capacity: 14000 Approx.